We’re proud to announce that the famous French IT publication MOS Magazine dedicated an article on us and all our products in its issue # 272. 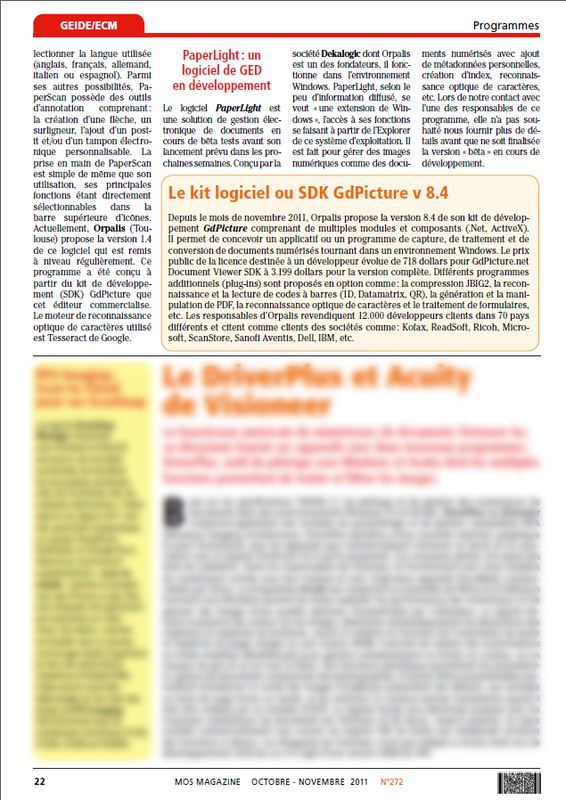 The article focuses on PaperScan but also mentions GdPicture.NET SDK and the soon to be released PaperLight BETA. 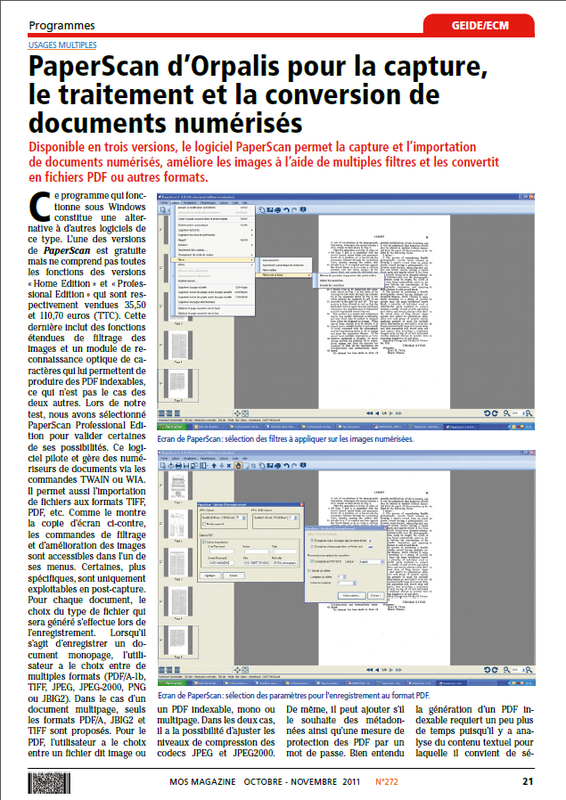 To view the article, click on the thumbs and please note it is written in French.